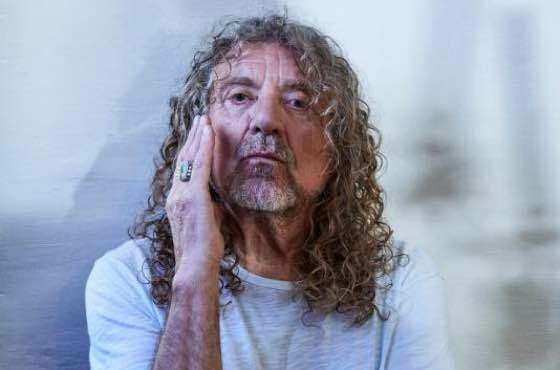 Robert Plant, Santana and Greta Van Fleet are among the acts confirmed to appear at the Woodstock 50 Music and Arts Fair in Watkins Glen, NY this summer. 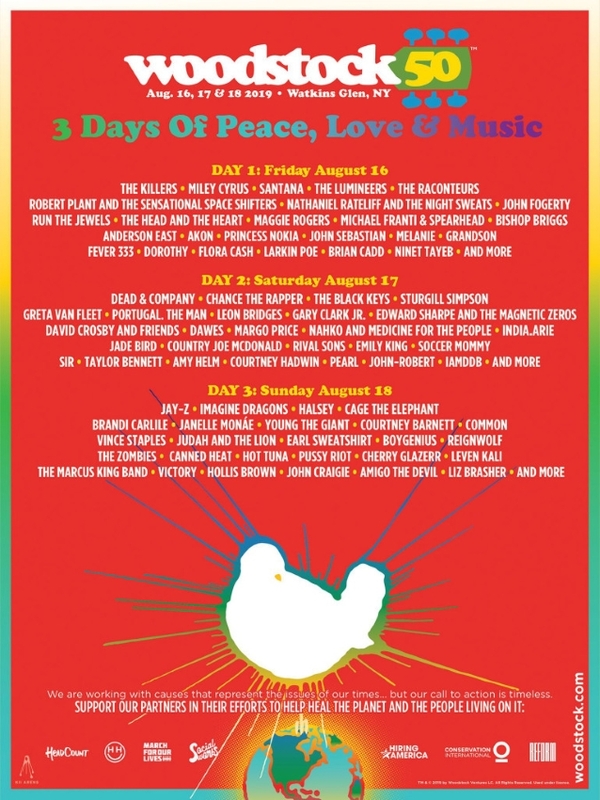 Running August 16-18, the 50th anniversary of the iconic 1969 event will once again deliver "3 Days of Peace and Music" with a diverse lineup that includes original Woodstock performers Santana, Dead & Company, John Fogerty, David Crosby And Friends, John Sebastian, Country Joe Mcdonald, Canned Heat, Hot Tuna and Melanie alongside The Killers, The Black Keys, Jay-Z, Imagine Dragons, Sturgill Simpson, Gary Clark Jr. and dozens more (see full list below). Taking place about an hour-and-a-half away from the original Woodstock site, the mission of the 50th anniversary edition is to bring peace, love and music back for a new generation of fans while uniting people in a shared experience with great artists, and encouraging active support of equality, inclusion and a shared sustainable future in sync with an extensive series of non-profit cause partners addressing issues that impact all generations. "We've lined up artists who won't just entertain but will remind the world that music has the power to bring people together, to heal, to move us to action and to tell the stories of a generation," says Michael Lang, co-founder and producer of the 1969 and 2019 Woodstock festivals. "Our hope is that today, just as in 1969, music will be the constant that can inspire positive change." Tickets for Woodstock 50 will go on sale on Earth Day 2019 – Monday, April 22; full event details are available at woodstock.com.